T3 looks back at all the Apple press conferences, WWDC talks and TV appearances to find the best and the worst moments of Steve Jobs, on what would have been his 57th birthday. 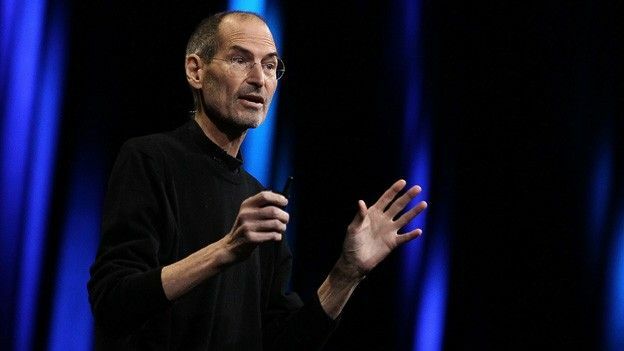 We are sure Team Apple were not the only ones to get little teary-eyed with the news that Steve Jobs has died aged 56. Whatever you think of the man, his impact has reached beyond the tech industry. Never one to shy away from the spotlight, we've cobbled together some classic Jobs clips to mark his time at the Apple helm. Here we have Jobs before he was the trained media man that he is today. It's almost captivating to see someone so different, but there you have it. This is the introduction that resulted in the Orwellian '1984 ad' from Apple sparking both disgust and admiration at what is widely considered one of the most well-known tech ads of all time. Here we have one of those rare moments when the two great tech titans meet. Showcasing the professionalism of both Jobs and Bill Gates this interview dealt with a lot of preconceptions about both men and if anything, reveals just how nice they both are. This is one of the more incredible moments in Jobs' career, in this talk we see Steve Jobs touch lightly on a subject which he calls 'cloud computing'. Sound familiar? Well that might be because years later cloud-computing is fast becoming the future of computing. Well we had to have this one in here didn't we? While introducing the iPhone 4, Jobs asks the audience to turn off their routers as the signals were disrupting the iPhone's ability to get signal. Naturally, the audience were only too happy to oblige.